1 I’m shocked, shocked to find gambling is going on in here! At a confirmation hearing in front of the Senate Judiciary Committee on Monday, Attorney General nominee Jeff Sessions was asked a question by Senator Lindsey Graham (R-SC) about the DOJ Office of Legal Counsel‘s 2011 opinion that limited the scope of the 1961 Wire Act to sports betting. His answer caused an immediate uproar throughout gambling Twitter. I’m shocked, shocked to find gambling is going on in here! The 2011 OLC opinion paved the way for states to legalize online poker, casino, and lottery within their borders. Sessions said he was “shocked” by the DOJ memorandum, and told Graham he would revisit the “unusual” opinion. Sessions stopped just short of saying he would overturn it, although that was the general consensus from those watching the hearing. Sessions "opposed" DOJ Wire Act memo, but *now* he says he needs 2 study issue b4 forming opinion? Sounds like his mind's already made up. Since becoming a full-throated supporter of an online gambling ban in 2014, Graham has made the 2011 DOJ OLC opinion a focus of his questioning whenever an Attorney General nominee is placed before him. Graham peppered current Attorney General Loretta Lynch with similar questions during her confirmation hearing in 2015, going so far as to submit written questions for her to answer on the subject. You can see Lynch’s full responses here. 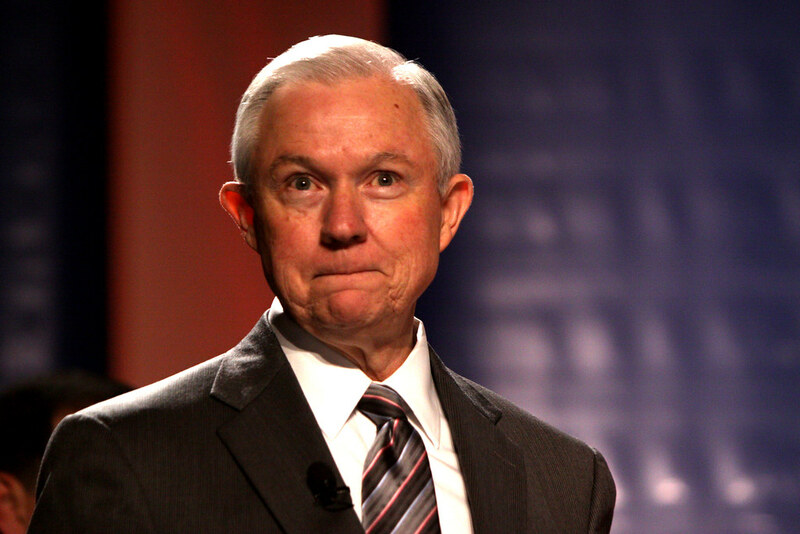 As much as Sessions answer should cause alarm among online gaming supporters (especially when taken together with his past record), it’s important to put his statement in the broader context of US online gambling. At this point in time, rolling back the 2011 opinion is akin to the old adage of putting the toothpaste back in the tube. Nevada has legal online poker, and New Jersey and Delaware offer legal online poker and casino games. Michigan, Illinois, Georgia, and Kentucky sell lottery tickets online. Massachusetts, New York, Pennsylvania, Michigan, and California, hare actively explored online poker/casino/lottery bills. If Sessions (assuming he is confirmed as the next Attorney General) decides to revisit and rollback the 2011 OLC opinion, a slew of exemptions would have to be made, otherwise a number of the above mentioned states would likely seek legal injunctions. In two cases to date (In re Mastercard International Inc., 2002, United States Court of Appeals, 5th Circuit; U.S. v. Lyons, 2014, United States Court of Appeals, 1st Circuit), the courts have come down on the side of the current interpretation of the Wire Act. iGaming/iPoker has good shot in court under current Wire Act regardless of DOJ views. Under RAWA, likely dead.